Operatives of the Economic and Financial Crimes Commission, EFCC, has arrested one Abbas Lakis, a Lebanese for money laundering offence. 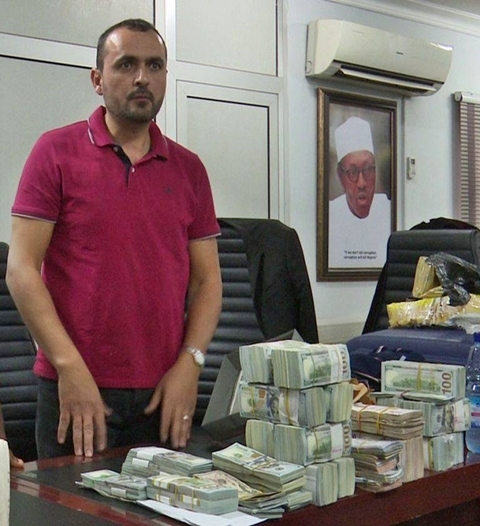 $2,104,936 (Two Million, One Hundred and Four Thousand, Nine Hundred and Thirty six Dollars), £163, 740 (One Hundred and Sixty Three Thousand, Seven Hundred and Forty Pounds), €144,680 (One Hundred and Forty Four Thousand, Six Hundred and Eighty Euros). 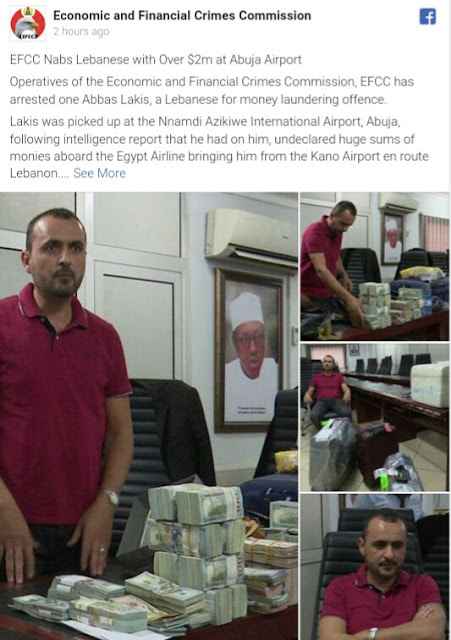 Other currencies found with Lakis include Riyal 391,838 (Three Hundred and Ninety One Thousand, Eight Hundred and Thirty Eight Riyals), CHF 3,420 (Three Thousand Four Hundred and Twenty Swiss Franc), Lira 435 (Four Hundred and Thirty five Lira), £109,000 (One Hundred and Nine Thousand Lebanese Pounds), Dirhams 10,135 (Ten Thousand One Hundred and Thirty Five UAE Dirhams) ¥10,000 (Ten Thousand Chinese Yuan) and Riyal10 (Ten Qatar riyal), in his possession.